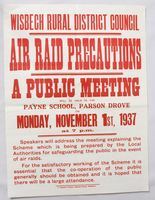 Poster from 1937 advising residents of Parson Drove of the impending danger of Air raids. Apparently it was not very well attended, most people were not convinced that there would be a War. 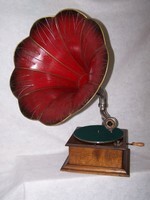 The Jones Type CS range started in 1895. This machine is a Type 5 Variant 1 and was made around 1935, its serial number is 15317 indicating a rough guide to its age. 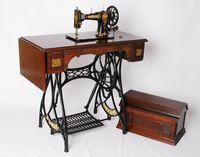 CS stands for Central or Cylinder Shuttle, a type patented by William Jones using a vibrating method, different from Singer machines in America being imported in 1895 when Jones decided to design an improved machine in the UK. He opened his first factory in 1860. On the box it reads ''Make your Fairy lights flash''. Used in the days when power for appliances was drawn from a light bulb socket via a switched double adapter. Most homes in the 1950's only had one power socket per home. Ultrasonic cleaning unit. We are not sure how it should be used, it looks like the large round unit is placed but not submerged in the water amongst the material to be cleaned, and there may have been a stand as the sonic element is in the base. A label attached by a previous collector said 'similar to Vibrasonic'. A bedside fob watch holder with a magnifying glass illuminated by a bulb in front of the watch powered by an internal battery and turned on by a pear shaped push button switch. The individual would place the unit by there bedside, if they wished to know the time it could be viewed by pressing the switch without the need for there spectacles unlike other units of this type. Printing set from 1959, simple documents can be printed with this kit, aimed mainly at children creating a few words at a time. Required for racing competitions, on release the bird could fly up to 1000km when returning home the owners ring attached to bird would be placed in the slot on top of the unit, the handle being turned moved the ring onto a sealed position and the time was stamped on a roll of paper inside the unit. 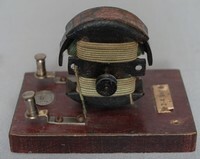 Police belt lamp with wire handle, containing spare bulb, and box. Crown and ER stamped on the front. 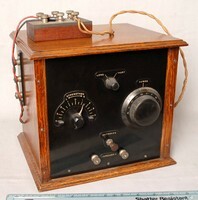 As Spec MW/CS/105 marked on the box. Standard Exide Accumulator with Ever Ready cardboard box in a wooden carrying case for two units. 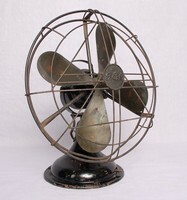 An Electric Fan made by GEC. Wooden Lamp with handle and lever switch. Common pull down system, used in offices and shops before the Second World War. Early warning sign advising persons not to touch the electric wires. Common when Electricity was first introduced into homes. A novelty item for children with two lamps for eyes. On its nose is a hook presumably for a fob Watch. Pushing the side flat metal lever drives a small generator to power the lamp. This item is in perfect condition and still works. 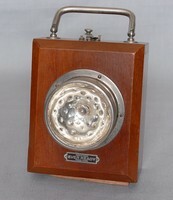 This Lantern was used by the 3rd Boxmoor Scouts before being donated to the museum. A working model of a Steam Engine made in Germany by M.G.& Company as a toy.